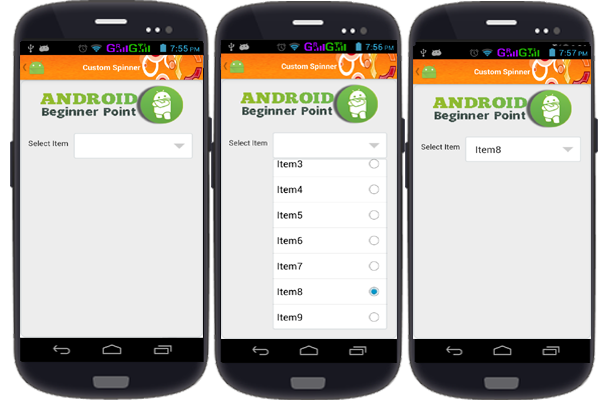 In this blog we will implement Single Item Select Custom Spinner Android. first , you can Create Custom Spinner xml Layout, drop dwon Some widegts for example LianerLayout ,textView and ListView. explain how to used.. Step 1: you can Create xml Gradient inside res/drawable folder.